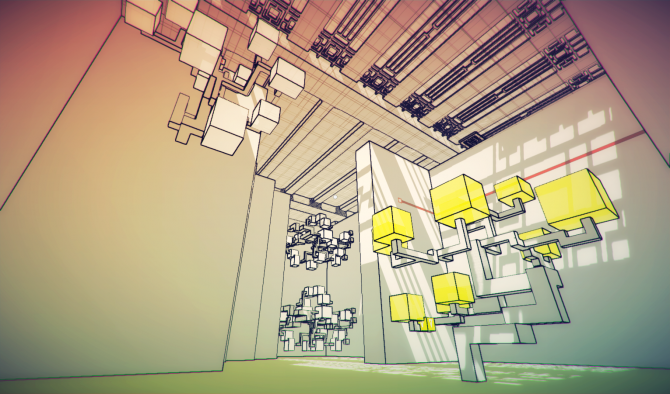 Lines are pretty important in Manifold Garden. 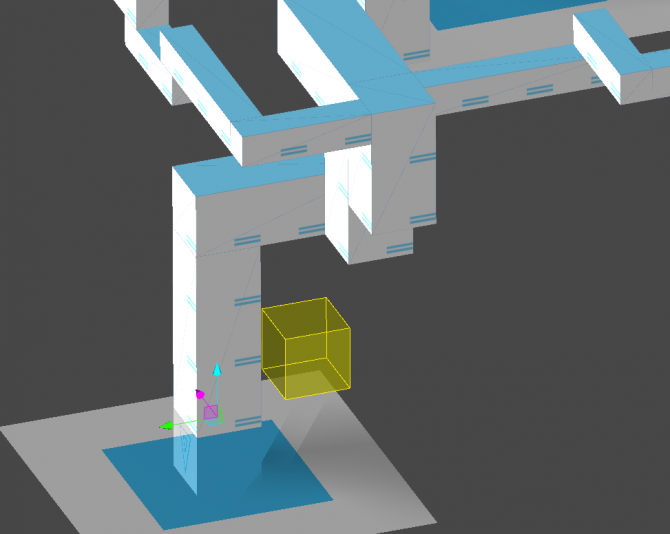 They connect switches to doors or other objects, and a light travels through them to know when it has been switched on. 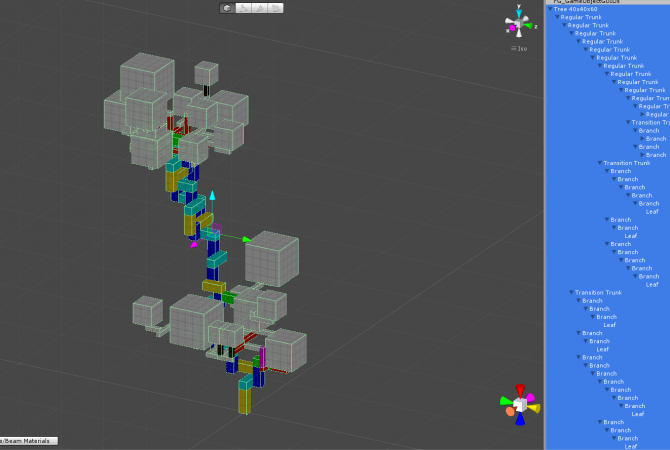 Originally, lines were made with separate individual prefabs. Each segment had to be scaled and placed manually, and every corner needed a separate piece. Not only that, I also had to manually toggle the corner to invert the material if the bend was going the other way. The default corner material is for bending right, so if it was left bend, the material needed to get flipped. The segments also needed to be placed in the right order, as that was how the line manager figured out in which sequences the lines should turn on. It was a bit of a mess from the code standpoint as well, with each line having to check the previous line to get the timing of when it should turn on. As you can see, very tedious. 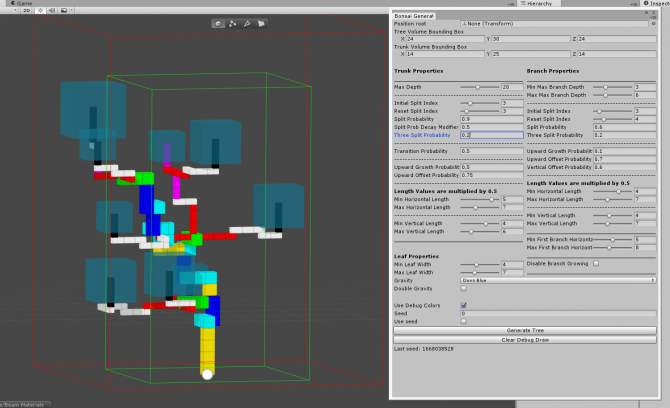 How this works is I bring up the tool, and I can select what kind of line (cube, button activator, or independent). The difference is that it will attach the finished line mesh to the appropriate object with the appropriate script. Then, I just hit ‘P’ to place down the marker. There is also undo, which is great, as occasionally you can place the marker just a little off. David wrote the undo feature, but I believe it’s just using a stack and putting things on and taking them off accordingly. 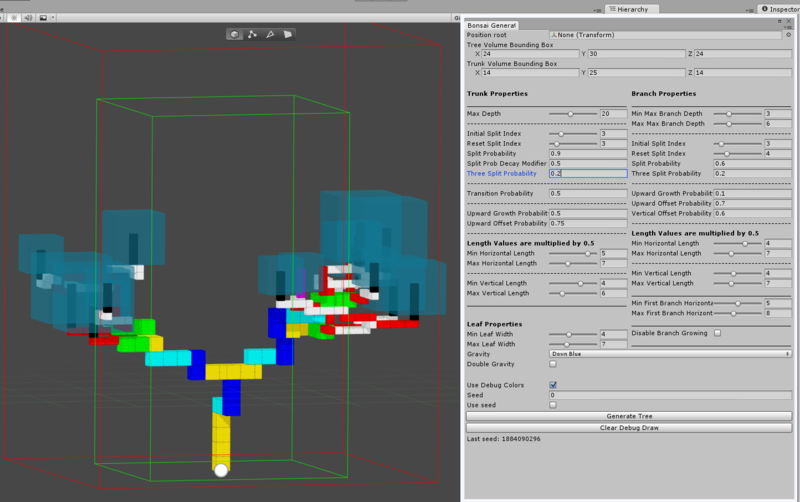 A preview of the mesh is generated as the markers are placed down, and when you’re ready, just hit “Form Mesh” and the final mesh is formed. All as one piece, instead of multiple different segments, so much easier to manage. The trickiest part was getting the correct offsets and UI for it. 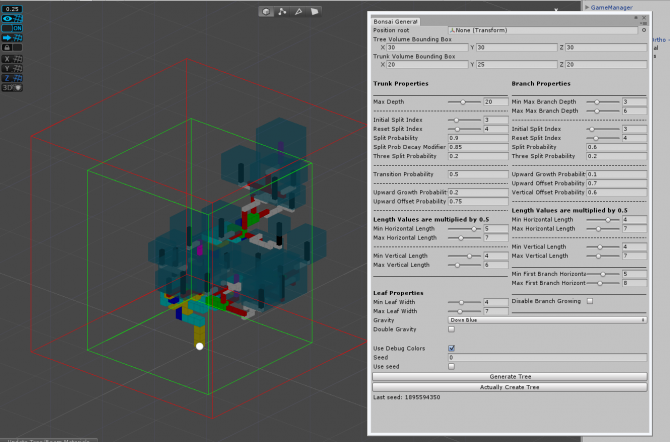 The actual mesh generating stuff is actually almost exactly the same as the mesh generation for water, which Chris Wade had written several weeks back. 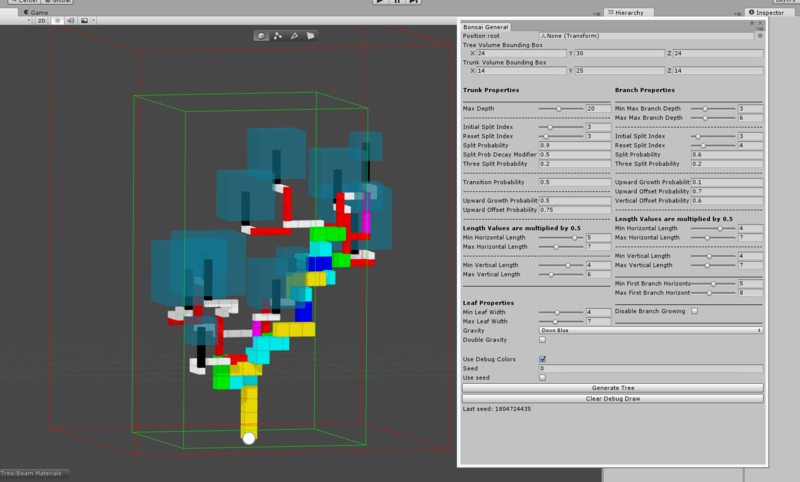 The new water system actually generates a new mesh every frame, and simply updates the points of the mesh based on what happens. Because the water also handles bends in various directions (left, right, up, and down), the code for setting the vertices of the mesh was just what I needed for the line mesh generator. The key for the tool was setting up markers as line is placed. They are restricted to be along the axis of the previous marker, so that you can’t make diagonal lines (which I don’t want anyway). Also, a marker doesn’t know which way it is bending until the next marker is placed, so there is some back communication. 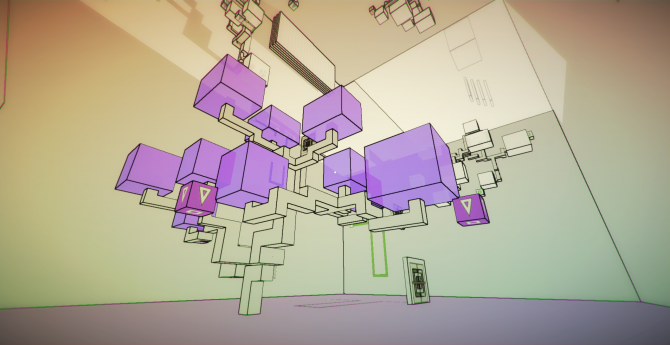 After a tree is made by the tree generator, all the parts are actually separate individual components, parented to the object it spawned from. This is necessary, because often I still need to do a bit of editing to the tree – removing overlapping branches, rotating trunk pieces, etc. Once that is done, all the trunk and branch pieces need to get merged together, as well as the leaves, and then everything needs to have the appropriate materials and scripts applied. 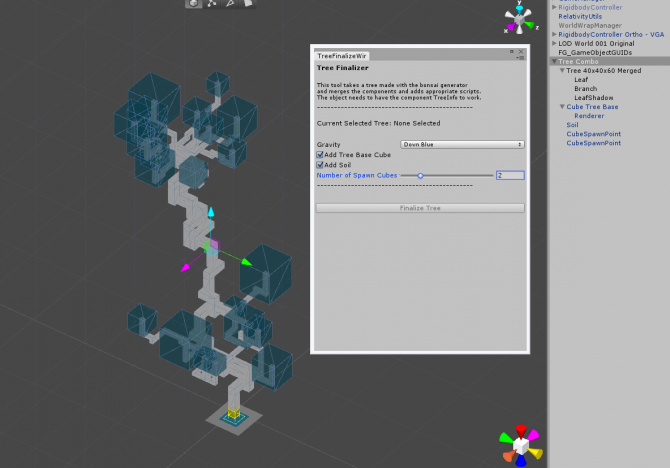 There are also some additional considerations, such as adding the “tree base cube” – this is the cube at the base of the tree that the tree grew from, the soil patch, and also any cubes that are growing from the tree. 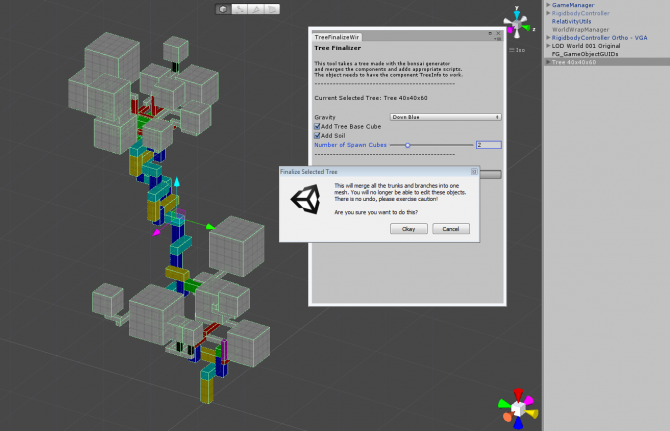 Instead of manually dragging the scripts and prefabs and placing them in the hierarchy, it’s just much easier to automate this with a tool. A bunch of the processing is optional. 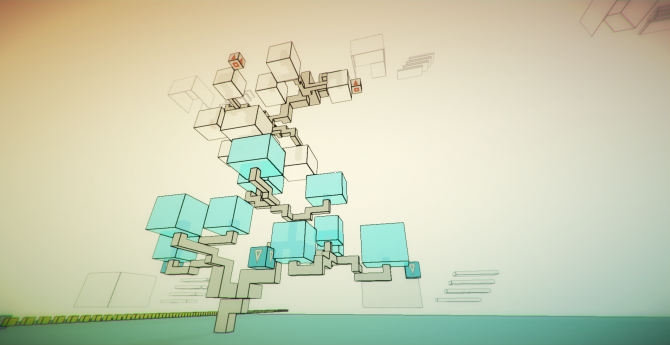 In the case in the above image, everything is selected, and we’re generated 2 cubes to grow from the tree. When you click to finalize the tree, a warning message comes up. This is important as the trunk and leaves are merged into separate individual meshes and there is no undo. Here’s what it looks like when the tree has been finalized. Note the hierarchy of objects on the right. There’s the “branch” object, the “leaf” object, leafShadow is an object specifically for the shadow of the leaf due to some weirdness with shaders. 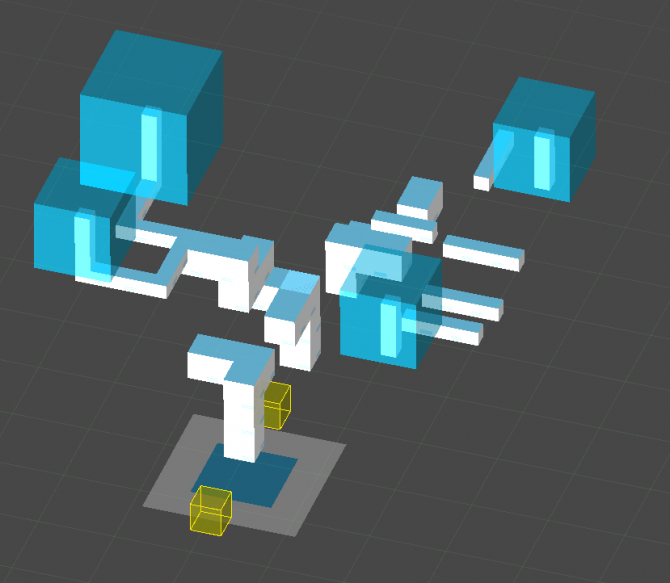 Note that there are two CubeSpawnPoints. They are both placed at the base of the tree so they’re overlapping. You have to manually move them to the position you want, but this is something that I wouldn’t want to be automated anyway, as the placement needs to be carefully designed. 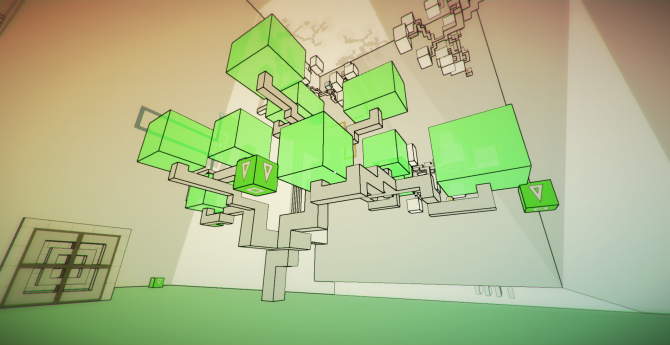 Finally got the tree generator algorithm down! The tool is still not fully complete. 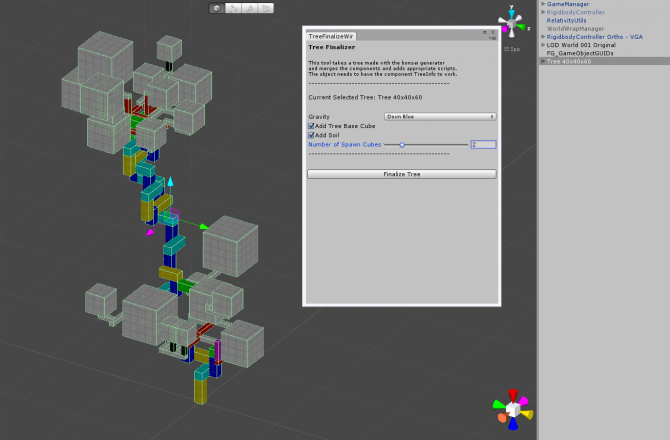 We still need to add in features like mesh merging, applying final material, auto-make prefab, auto-name, etc. But those are all pretty minor stuff that should be very simple to add. The important part is the algorithm, and that is now done. A major part of what made the algorithm relatively easy to work with was we stuck with world coordinates for the directions (David’s idea! ), instead of using local rotations and matrices to pass down information from parent to child (totally what I would have done). So vector3.up was up for every trunk and branch, which is quite important, because the rules guiding horizontal and vertical growth are quite different (different probabilities, lengths, restrictions, etc).